Working in my local health food store the other day, I found myself sharing the same health tips to quite a few of our customers. I wanted to pop down the top three here, and possibly surprise a few people. 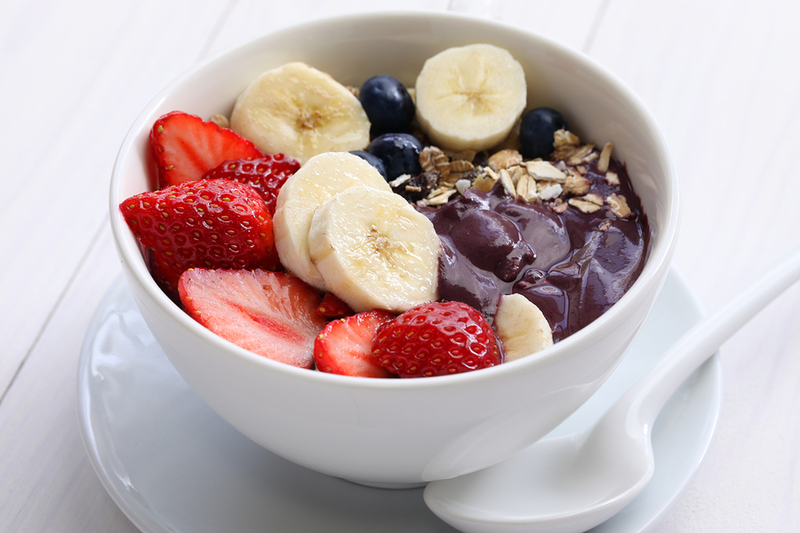 Acai Bowls- A healthy breakfast? We have lots of customers jumping on the acai train and making their own acai bowls for breakfast. On the Gold Coast, it seems that ever other café is now serving up acai bowls for breakkie for about $15, so making your own can be a much more cost effective option. But is it a healthy breakfast choice? Well, if you are making like the cafes do, then the answer is no, not really. Café’s will use a frozen acai packet (often containing added sugar), processed apple juice, and frozen banana to make the blended frozen part of the bowl, and then usually top it with fruit, coconut or toasted muesli. This breakfast is very high in fruit sugar, and relatively low in protein and fibre. This can mean that the fruit sugars spike your blood glucose levels and cause you to have an energy crash not too long afterwards. A meal like this does not have the sustained energy that a higher protein or fibre meal would provide. But don’t worry, you can still enjoy acai bowls at home, just make your own and add a few ingredients to help balance the meal and keep you fuller for longer. Avoid store bought juices and frozen acai with added sugar. Use water or fresh apple or pear instead to create a slushy texture and keep the flavour sweet. Add chia seeds to boost the fibre content, and pea or rice protein powder to help support energy levels. These can be blended with the frozen acai and banana. On top, sprinkle a seed and nut mix instead of a sugary toasted muesli. This will increase the fibre and protein content as well. This will give a much more balanced, nutritious breakfast. Dairy Products- Ok with a cold? There seems to be a few colds going around at the moment, and we had quite a few people coming in on the weekend looking for cold and flu remedies. One family came in all sniffling, with large iced chocolate, creamy whips in their hands from the coffee shop around the corner. That’s a naturopathic no-no! Dairy is very mucous forming. It will significantly worsen a blocked nose, sinus and head cold like symptoms soon after consuming. Even if you are able to eat dairy normally, during a cold or flu you should definitely avoid it. Dairy is also an inflammatory food. It will encourage inflammation in the body, so if you add dairy to a pounding headache and a sniffly nose, you are likely to feel a lot worse. Avoid it, and give your body the best chance it can to get better quicker! 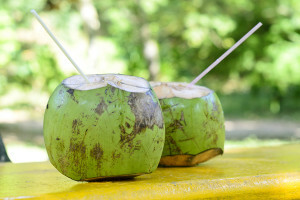 Coconut Water- A healthy daily drink? Coconut water is another popular product right now, and you can now see it at almost all cafes, and restaurants. We have plenty of people coming in buying huge slabs of packaged coconut water to take home and have daily. This is not a healthy option for everyone. If you are someone who does a lot of exercise, sweats a lot and drinks a lot of water, then a coconut water per day is most likely going to be a very beneficial addition to your diet. But if you don’t tick all the above boxes, you may find that you are consuming 6 teaspoons of sugar per 500ml of coconut water, with little benefit. Fresh coconut water- straight out the green coconut is a much different product to the sweet, packaged drink you can buy in a can or tetra-pack. If you have ever had a fresh green coconut, you’ll notice it is not very sweet, it tastes much more watery and even a little salty. The packaged coconut water tastes about 5 times as sweet, much less watery and not salty at all. The fresh coconuts you can buy from the supermarket are quite a bit sweeter than the green coconut you get from tropical climates, but I believe still healthier than the canned option. If you want to include coconut water to your diet, use it as a sports drink or rehydration fluid. Choose a fresh whole coconut where possible and have a look at the sugar content of your favourite packaged variety before buying a slab to take home. Yes, it can still be beneficial, but in moderation. Previous post: Veggies Without Vitamins?